This report contains 42 images copyrighted by the WSEAS. All rights reserved. by Prof. Paul E. Dimotakis, California Institute of Technology Pasadena, USA. by Prof. F.-K. Benra, University of Duisburg-Essen, GERMANY. by Prof. Siavash H. Sohrab, Northwestern University, IL, USA. by Prof. Hiroshi Tanaka , Tokyo Medical and Dental University, JAPAN. by Assoc. Prof. Dechavudh Nityasuddhi , Faculty of Public Health Mahidol University, THAILAND. by Prof. Mohammad Haghpanahi , Iran University of Science and Technology, IRAN. by Prof. Anna Walaszek-Babiszewska ,Opole University of Technology, POLAND. by Prof. Claudio Rossi ,University of Siena, ITALY. by Assistant Professor Hamid Mobasheri , University of Tehran, IRAN. by Prof. Hariton Costin , The University of Medicine and Pharmacy Iasi, ROMANIA. by Assoc. Prof. Dr. Denis Trcek, Faculty of Computer and Information Science, University of Ljubljana, SLOVENIA . by Prof. Marcos A. Rodrigues, Sheffield Hallam University, UK. Feature extraction methods in machine vision systems. 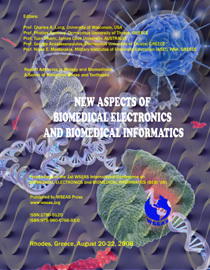 by Prof. Ryszard S. Choras, University of Technology & Life Sciences, POLAND. by Prof. Adrian Ionescu, Wagner College, NY, USA. by Prof. Horia Andrei, Valahia University of Targoviste, ROMANIA. When did Mitochondrial Eve Live? - Computer Simulations Can Help to Answer the Question. by Prof. Krzysztof A. Cyran, Silesian Univ. of Technology, POLAND. by Prof. Valeriu Prepelita, University Politehnica of Bucharest, ROMANIA. by Professor Christopher J. Koroneos, Aristotle University of Thessaloniki, GREECE. by Prof. Petr Filip, Academy of Sciences of the Czech Republic, CZECH REPUBLIC. by Prof. Philippe Ben-Abdallah, Ecole Polytechnique de l'Universite de Nantes, FRANCE. by Prof. Konrad Domke, Poznan University of Technology, POLAND. Modeling and stability analyses of natural circulation steam generators. by Prof. Heimo Walter, Vienna University of Technology, AUSTRIA. A Quasi-Normal Scale Elimination (QNSE) theory of turbulent flows with stable stratification. by Prof. Semion Sukoriansky, Ben-Gurion University of the Negev, ISRAEL. by Prof. Lajos Barna, Budapest University of Technology and Economics. HUNGARY. by Prof. Nickolay N. Smirnov, Moscow M.V. Lomonosov State University, RUSSIA. by Prof. Anastasios Zouboulis, Aristotle University of Thessaloniki, GREECE. by Assoc. 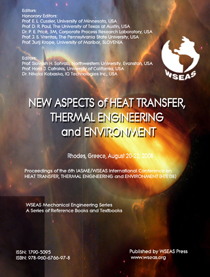 Prof. Charalampos I. Arapatsakos, University of Thrace-Greece, GREECE. by Prof. Nicolas Galanis, Universite de Sherbrooke, CANADA. by Prof. Boşcoianu Mircea, Military Technical Academy, ROMANIA. by Prof. Radu D. Rugescu, University “Politehnica” of Bucharest, ROMANIA. by Prof. Sergey B. Leonov, Joint Institute for High Temperature Russian Academy of Science , RUSSIA. by Prof. Albert F. Kurbatsky, Novosibirsk State University , RUSSIA. 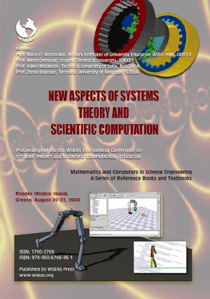 by Prof. Sergey A. Gaponov, Institute of Theoretical and Applied Mechanics (ITAM), RUSSIA. by Dr. John Curtis, QinetiQ, UK. The WSEAS Organizing Committee announced during the Banquet a competition among its members and friends: Write an article (post-conference report) with theme: "The role and importance of the WSEAS in the dissemination of scientific knowledge and the knowledge transfer: My personal experience". This report must be based exclusively on your personal experience in some WSEAS meeting and might contain photos also. No specific format is determined; however your text must not be less than 100 words or one A4 page and should be sent directly to WSEAS until 30 September 2008 by email to wseas-team(a)wseas.org replacing (a) with @ There will be 30 winners who will receive a free registration to 3 conferences within 2009, while the 3 first will also receive totally 30 books from WSEAS Press and free accomodation in the Hotel where the WSEAS Conference in 2009 will take place. In exceptional cases, WSEAS will also cover the aeroplane tickets of these first 3 winners. The winners will be announced on the web. 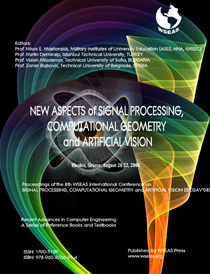 Editors: Nikos E. Mastorakis, Metin Demiralp, Valeri Mladenov, Zoran Bojkovic. Editors: Charles A. Long, Photios Anninos, Tuan Pham, George Anastassopoulos, Nikos E. Mastorakis. 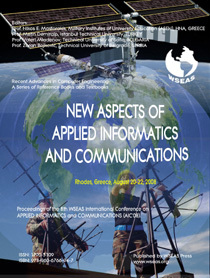 Editors: Siavash H. Sohrab, Haris J. Catrakis, Nikolai Kobasko, Sarka Necasova, Nikolaos Markatos. 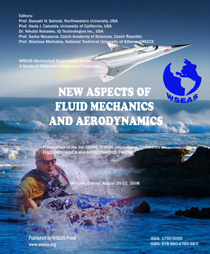 Honorary Editors: E. L. Cussler, D. R. Paul, P. E. Price, J. S. Vrentas, Jurij Krope. Editors: Siavash H. Sohrab, Haris J. Catrakis, Nikolai Kobasko. Most of the participants danced and enjoyed themselves during this fantastic night in Rodos!